Before Cyberdimension Neptunia, before Sword Art Online, before Star Ocean 3, there was .hack (pronounced “dot hack”). The immense popularity of the anime .hack//SIGN and a handful of game spinoffs in the early 2000s popularised the premise of players trapped inside an MMO game, and you can see that inspiration in plenty of other games, anime, and manga today. And yet, oddly enough, .hack itself has been relatively quiet in recent years, especially in the West. 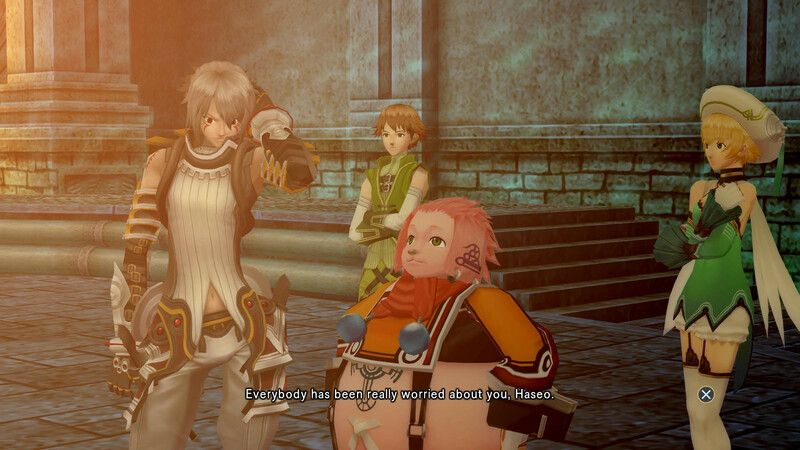 It’s about due for revitalization, and that’s where .hack//G.U. Last Recode comes in: a remastered collection of three PS2-era .hack games that hold up surprisingly well, it’s a perfect place for new fans to jump on board. .hack//G.U. Last Recode brings together the three games that made up the G.U. trilogy—Rebirth, Reminisce, and Redemption—as well as a brand new epilogue game, Reconnection. As well as being graphically enhanced for modern platforms, the games have also been rebalanced, and an optional Cheat Mode lets you start each game with maximum levels and the best equipment and items. Finally, there’s a new bonus feature in the form of Parody Mode which lets you watch select cutscenes with new, humorous dialogue. In short, it’s a collection that has plenty to offer for old and new fans alike. Even though there are technically four separate games in Last Recode, they’re all pieces of one ongoing story; you’re better off thinking of each game as one chapter of the bigger G.U. plot. To that end, you can carry save data over from one game to the next—as you could when they were originally released on PS2. With that in mind, Last Recode is, effectively, one large game broken up into chunks. Related reading: Cyberdimension Neptunia: 4 Goddesses Online is another great simulated MMORPG game, full of Compile Heart’s unique brand of humour. Read my review. 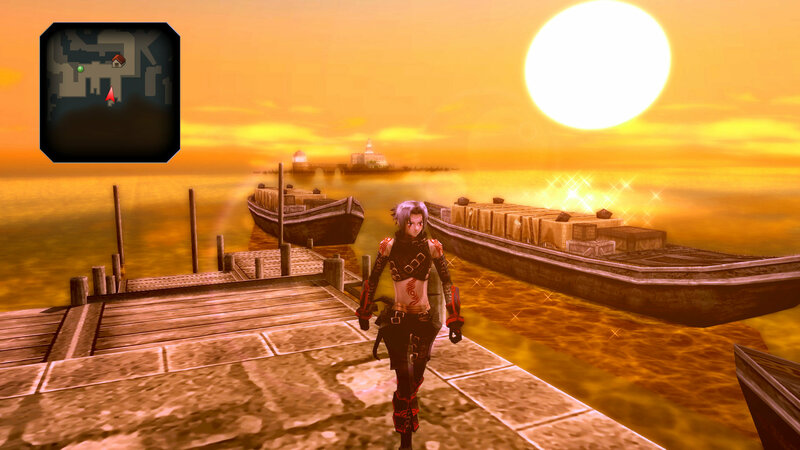 This game tells the story of Haseo, a player in a virtual reality MMORPG known as The World R:2. Haseo and his friend Shino hadn’t been playing long when they were attacked by an infamous “player killer” known as Tri-Edge, destroying Shino’s character and leaving her in a coma in real life. In an effort to save her, Haseo spends months levelling up in the game, getting stronger, and preparing to confront Tri-Edge. When he finally does, the villain uses some sort of hack to beat Haseo and revert him to level 1, forcing him to start his quest all over again. This is where the first volume of .hack//G.U. kicks off, with a freshly de-levelled Haseo being mistaken for a new player and roped into joining a newbie guild called Canard. From there, Haseo’s focus is largely about playing The World and levelling up again. 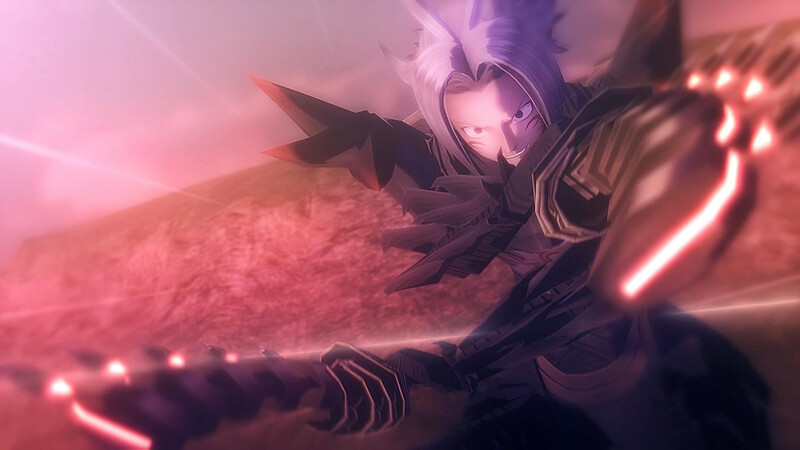 However, there are some strange things going on in the background, and before long Haseo gets caught up in an effort to stop a virus that’s spreading through the game. Despite a slow start, Last Recode builds up to be a gripping science-fiction romp. The idea of being trapped in a game isn’t so novel anymore, and so some of the game’s twists aren’t as surprising as they might have been a decade ago, but they still pack an emotional punch. It’s easy to get swept up in the drama of everything that’s going on, especially once you’ve had enough time for the oddball characters to really get their hooks into you. What really makes all of this come together is how good .hack is at selling the idea that you’re a character playing an MMO game. Most of the characters that you encounter in the game are other players of The World, with dialogue and behaviour to match—from awkward newbies, to elitist jerks, to role-players, to people who just want to enjoy the social aspect of the game. Obviously, none of these are actually other people, with .hack//G.U. being the single-player game that it is, but they sell the idea well enough to let you get lost in the game’s fantasy. To add to that, Last Recode doesn’t take place entirely within the framing device of The World. As Haseo, you don’t just use your computer to play the MMO, but to do things like check emails and read message boards—indeed, this is how much of the story progression is driven early on. You’ll go on a quest with some other players, finish it and see the accompanying cutscenes, before getting an email from someone else inviting you for another adventure where the next plot beat inevitably takes place. This setup also lends itself nicely to sidequests, of which Last Recode has plenty. 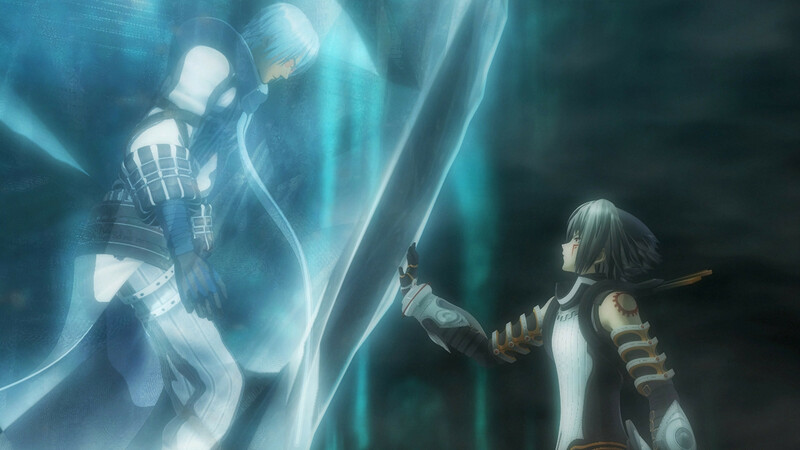 Rather than being one big open game, The World—and, by extension, .hack//G.U. itself—has players trawling through isolated dungeons that are generated semi-randomly through the use of keywords. In simple terms, you enter three keywords from an extensive list at a teleporter, and the combination of those words determines what sort of dungeon you’ll end up in, enemy levels, the treasure that’s available, and so on. You can just randomly throw words in if you’re that way inclined, but that often doesn’t work out well. Instead, you’re generally better off getting advice on which words to use, which you gather from other players of The World, quest givers, and so on. As you talk to players and read messages, you discover more keywords, too, gradually opening up the range of dungeons that you can access. As far as the main story goes, you always have the keywords you need to go where you need to to keep things moving. If you want to, though, there are plenty of things to see and do by messing around with the keyword system and exploring outside of The World itself to find new quests and adventures. It’s a clever setup, and something I’d love to see replicated in modern games. That said, the source material for Last Recode does show its age somewhat when it comes to the dungeons themselves. They’re often very simple and linear in their design, despite being presented as a sort of labyrinthe dungeon crawl. I found them to feel quite empty, too, giving them a sense of repetitiveness despite a range of different biomes and palettes. 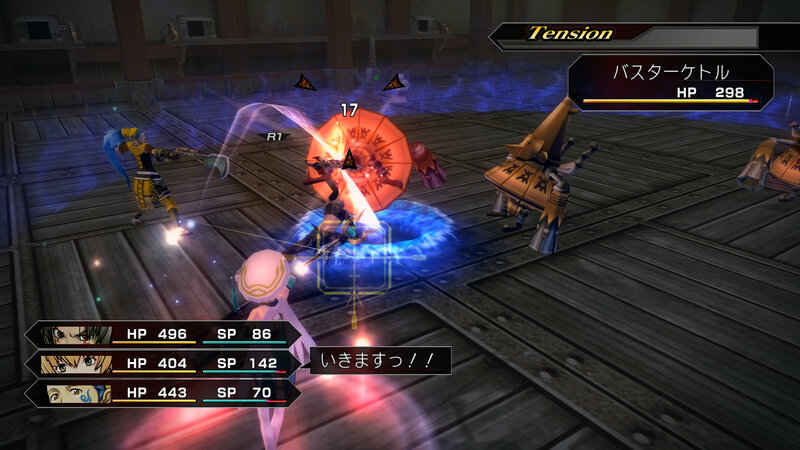 In .hack//G.U., the dungeons are a means to an end, rather than the main attraction. Combat, too, is quite simple—the standard hack-and-slash fare, with AI-controlled allies and a handful of different attack and defence options. It’s not all that deep, but it’s a lot of fun nonetheless, especially as your characters level up and gain access to new attacks and abilities. At the same time, if you’d rather just breeze through the combat and enjoy the story that .hack//G.U. tells—which is definitely its strong suit—Last Recode‘s Cheat Mode lets you do just that. It’s available from the outset, so there’s no need to go through any special unlocking process; just select it when you start a new game, and you’re away free. Even in a world where Sword Art Online wears the simulated MMORPG crown, .hack holds a special place—not just as one of the originators of that conceit, but because it still is one of the best examples of it. .hack//G.U. Last Recode is an excellent way for a whole new generation to experience an iconic JRPG franchise, and I can only hope that it leads some new .hack games in the near future. If you liked this review and plan to buy .hack//G.U. Last Recode, you can support Shindig by using this affiliate link. .hack//G.U. Last Recode is developed by CyberConnect2 and published by Bandai Namco. It’s available now for PS4 (reviewed) and PC.